Any experience on loaner availability / model ranges / policy at Passport BMW?? What is your salesmens email address? 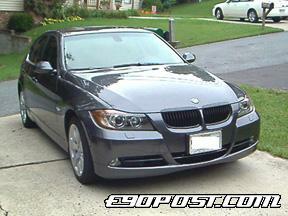 I have been offered $2700 off so far on a 330i. That was from Jim at Passport. I am shopping that around MD and VA now. I ordered from Sterling, I got a pretty good deal with zero hassle, zero run-around, and they were very helpful with making sure I agreed with every number on the sheet. I was very happy, probably because I had them agree to everything over email first. I had almost the exact same experience. Test drove the car at Fairfax got the run around and a high quote and left Posted through Edmunds.com and was contacted through e-mail by several dealers. Passport knocked everyone out immediately. Took Passport quote back to several dealers and they wouldn't touch it. Fairfax initially said no way, then a manager contacted me to say he 'd knock $100 off the Passport price but I found them real sleazy and didn't trust that they would come through. Passport picked me up at the Metro with my car and I was in and out of the dealer in a flash. Great experience, highly recommended. Just wanted to add: Well, I finally took delivery last Friday, CA (Jim Redden, Passport BMW) shared that because of his working relationships with people at the VPCs/POEs and at Bremerhaven, he is generally able to "work the system" to get your order in a tad bit faster. He added that not all priority-1 tagged cars are equal and insists on putting the customer's last name on his customer P-1 cars to facilitate quicker processing at the POE (Bremerhaven) - lends a greater air of urgency?. Apparently, this is not new but not all CAs/Dealers go the distance, he mentioned some dealers who attempt to do so, do it half-heartedly and label all ordered cars with the manager's last name (which would start to look funny when you have a number of cars sitting at Bremerhaven with the same last names). The other thing (claimed) about Passport is that their sales/order volume is high (finance guy mentioned more than 200 cars per month?) which translate to some degree of internal preferential treatment. FWIW my car took 6 weeks from ordering to arrival at dealership...might have taken less time as I cancelled PCD (priority-9) mid-voyage, consequently my car rode the boat all the way down to Charleston and had to be trucked back up to DC metro. 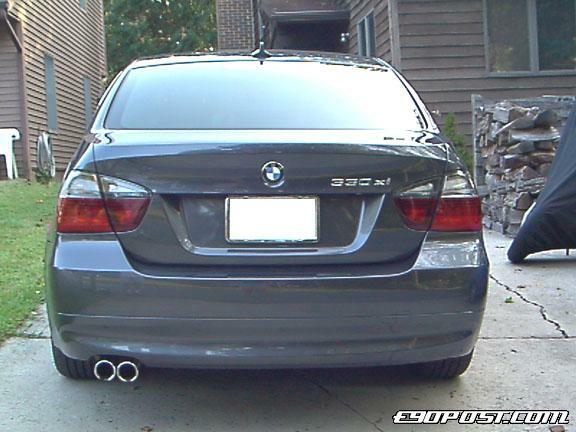 Btw CA proudly claimed that there is literally no extra wait or markup to put in an order for an e60 M5, if interested. When I took delivery, a silverstone M5 was ready for pickup by a couple from FL. Looks stunning!!! My third BMW purchase 95 325, 96 318ti, 06 325i, from Passport BMW in Marlow Heights MD. I highly recommend dealing with these two outstanding gentlemen. Joe can be reached at 301-702-6423. He is willing to go the double extra mile for a customer. BMW USA are you paying attention? well I bought my car from Yves Badji and yes they went the extra mile. and when i say extra mile, they picked me up at the sterling Carmax, which is about a hour away. Yves is a nice guy and everything went fast. Wow 2700 off on a 2006 330, what are you waiting for if you were in germany they would look a t ya and go..discount.....what is a discount....but just for sake of argument....what are they asking for the 330. Let me add. I am a member of a football fan club. We have State of MD organizational tags. I have three cars and all three have the club tags (cus the Ravens are da bomb....sorta). Passport went out of their way to get those tags on my car. You may thing that that is no big deal but when they are coming off a leased car and going onto a leased car, it is a huge pain in the arse. Affidavits and all kinds of red tape. Jim Redden at Passport got it done and I am nothing but happy. ...Jim Redden at Passport got it done and I am nothing but happy. No hassle price (any car $500 over dealer invoice) and good communication. 330xi/Sparkling Graphite/Terra/Walnut Burl/Steptronic/Sports Package/Heated Seats/Comfort Access...(blacklines, tint and a black grill). I haven't taken delivery yet, but I'm driving over 130 miles to Passport for my first BMW. They were very upfront with their prices where others simply didn't wish to offer their best price. All the negotiations were done over email. Just one question, was their invoice price about $250 higher then what edmunds lists? kabhatti:...our invoice figures were in line with edmunds and BMW Confidential Wholesale Pricing. Could the price discrepancy be due to the $200 DAG fee (dealer ad group) they charge everyone here?? Who's your CA?? My destination charge was listed as $895 not $695 ($200 DAG). 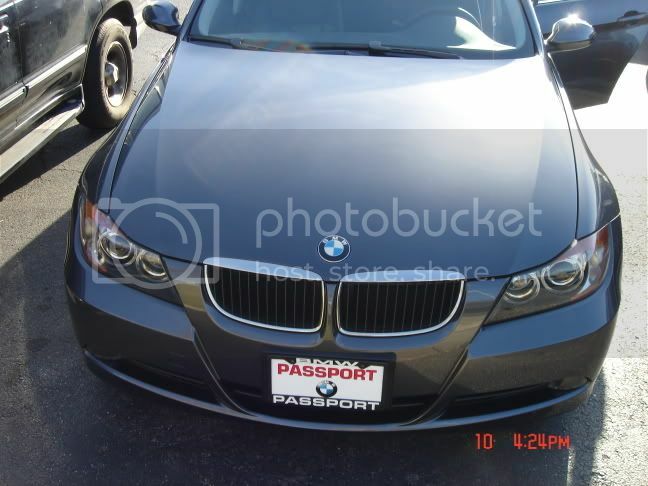 Ok, that's what they said at Passport BMW, Omid Sakih is my SA. Dumb question.... what exactly is the DAG, is that what the dealer expects to keep the lights on and have soda for the customers? Interesting, at Sterling I paid MACO ($200, part of the invoice) but no DAG. Wonder why it's called something different for you guys. I just ordered my 330i from Jim at passport. Very easy transaction, Jim is by far the best dealer I've ever purchased from. He was even advising us not to get options that we don't need!! Fantastic expierence, we'll be buying from him again next time we're int he market.